What 99 cents store, Foot Locker and skyscraper near City Hall in New York have in common? Woolworth is the name that stand behind all these three objects. 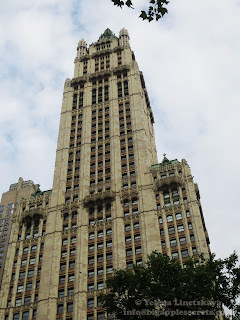 Woolworth was the retail phenomenon of the twentieth century. It was the first brand to go global, building to more than 3,000 near-identical stores across the world. Frank Winfield Woolworth was born in a small town near Great Lakes. His father was a farmer and he expected his son to help him milking the cows before school and picking potatoes by hand in the evening. Frank left school at the age of sixteen to work full-time on the farm but he did not want to be a farmer - he wanted to go to the night school to learn bookkeeping. Frank wanted to try commerce. His mother gave Frank small allowance as pocket money for his first three months and he started working in local General Store. Frank had been working very hard unpaid for three months. After first three months he got a job for $3.50 a week. He was given responsibility for checking in goods, keeping the stockroom tidy, and for setting up displays. He established his own system and started to study the merchandise. He later recalled with pleasure that the older ladies in-store liked to mother him, charmed by his bright blue eyes and cheeky smile. In 1878 Frank borrowed $300 and opened a five-cent store in Utica, New York . It failed within weeks. Woolworth opened his second store in April 1879, in Lancaster, Pennsylvania, where he expanded the concept to include merchandise priced at ten cents. Sales were $127.65 on the first day. Toy dustpans. Tin pepper boxes. Drinking cups. Gravy strainers. Tin scoops. Purses. Biscuit cutters. Flour dredges. Schoolbook straps. Egg whips. Apple corers. Fire shovels. Boot blacking. Animal-shaped soap. Animal-shaped Cake Cutters. Candlesticks. Ladles. ABC plates [plates with the alphabet inscribed around the rim]. Scalloped pie plates. Baseballs. Tack hammers. Writing books. Pencil charms. Shaving Lather brushes. Tin spoons. Police whistles. Pie plates. Red jewelry. 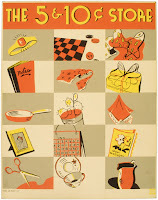 Napkins, handkerchiefs, thread, and novelties. Frank opened a second branch in nearby Harrisburg, managed by his brother. The chain became very successful, mostly due to a large influx of American immigrants attracted to the straightforward discount pricing strategy. In 1886 Woolworth moved to Brooklyn, New York, to be near wholesale suppliers. He lived at 209 Jefferson Avenue in Bedford. The first Brooklyn Woolworth store opened in Brooklyn, Fulton Street, in 1895. The Woolworth chain grew rapidly. By 1895 there were 28 stores, and sales reached the $1 million mark. 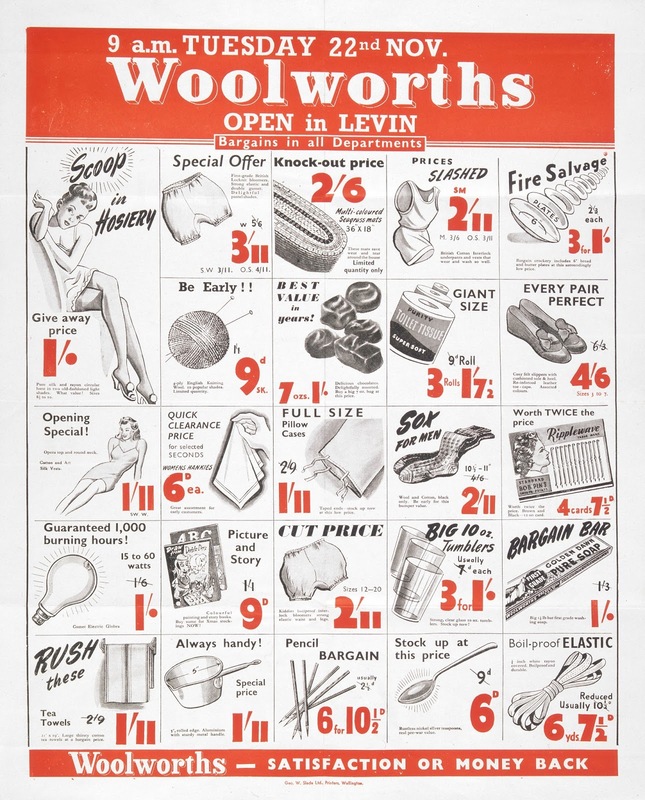 Woolworth thought that the presentation of goods is very important and he took the responsibility for planning window and counter displays for the whole chain. 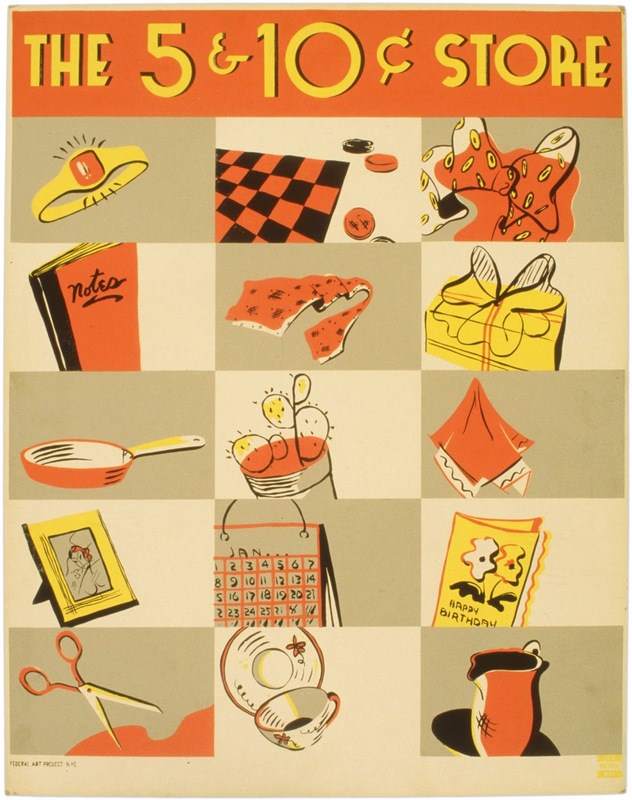 He created red store front which became its institutional hallmark. The success of the chain between 1890 and 1910 was phenomenal. By 1910 F.W. 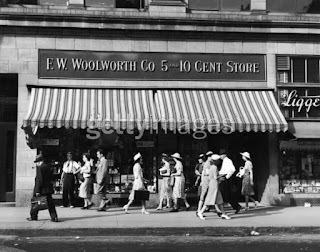 Woolworth and Company had nearly three hundred Five and Ten Cent Stores, including branches on the up market Ladies Mile, around 5th and 6th Avenue, in Manhattan, and seven branches in the United Kingdom. Woolworth's opened its first British store in Liverpool in November 1909. It was a big success. The three floor emporium was always packed with customers. It had famously long lines. 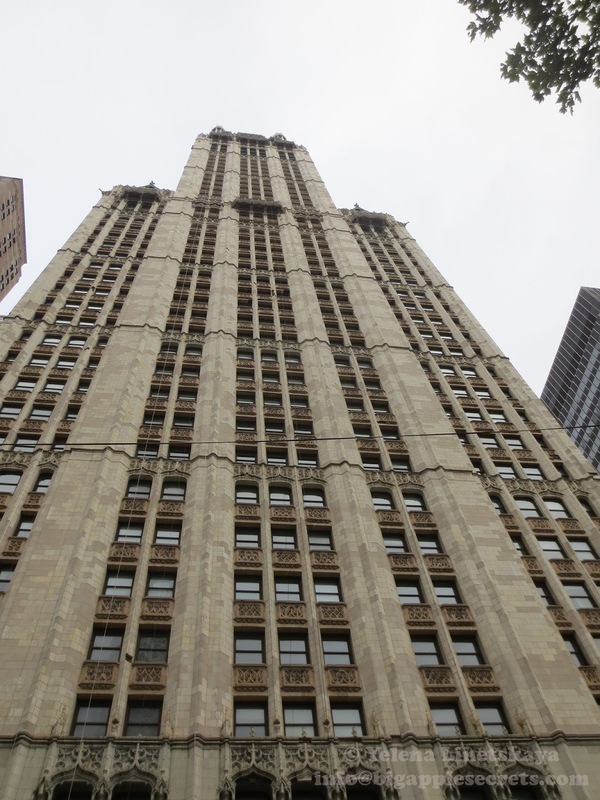 By 1912, there were nearly 600 Woolworth’s stores around the United States and Canada. 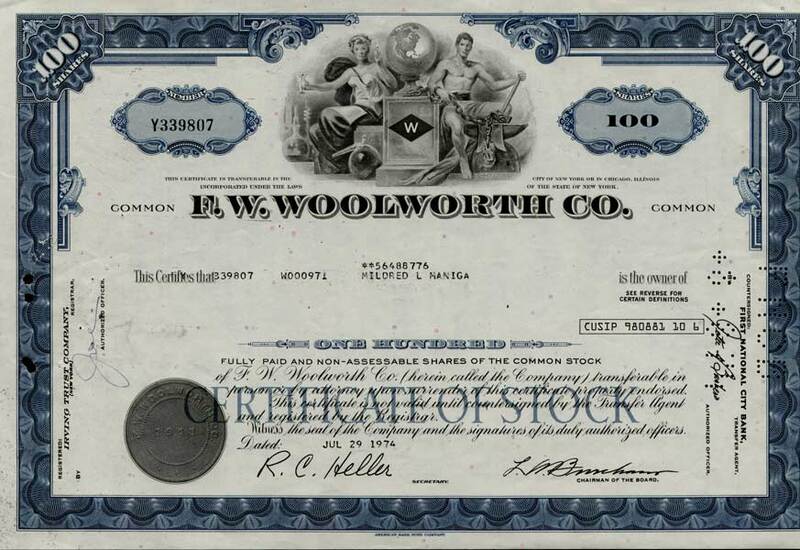 That year, F.W Woolworth Co. had its initial public offering on the NYSE. The proceeds were used primarily to fund the construction of the historic Woolworth Building. It is no longer a mystery to me how they make dolls and toys so cheap, for most of it is done by women and children at their homes anywhere within 20 miles of this place. Some of the women in America think they have got hard work to do, but it is far different than the poor women here, that work night and day on toys, and strap them onto their backs, and go 10 or 20 miles through the mud with 75 pounds on their backs, to sell them. Woolworths had dozens of outlets across the US by the time it arrived on British shores, and its owner had already made his fortune . The chain become a quintessentially British institution, with a presence on almost every high street and a unique place in the hearts of the nation's shoppers. For forty years Frank led Woolworth's from the front. He was the first to introduce different staff benefits. Employees had seek days. There was a fund that made payouts for medical treatment and emergencies. Employees also had paid holidays and generous Christmas bonuses. Frank Woolworth fell ill as he prepared elaborate fortieth birthday celebrations for Woolworths. He died on Tuesday 8 April 1919, just four days after leaving his desk for the last time. The obituary in the New York Times said that 'he made his money not by selling a little for a lot, but by selling a lot for a little'. It’s just as surprising that the store could keep its shelves stocked only with 5¢ and 10¢ items for 55 years! By the 1930s, though, the store had bowed to inflation by allowing 20¢ as the top price they could charge. 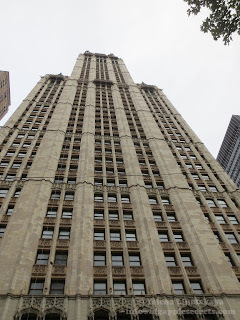 By Woolworth’s 100th anniversary (1952) Woolworth had become the largest department store chain in the world, according to the Guinness Book of World Record. 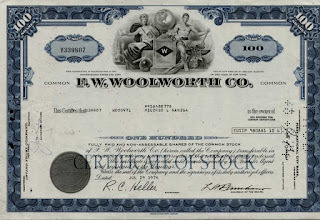 The Woolworth chain continued to prosper. As late as 1979, Woolworth, with its subsidiary Woolco, operated 800 stores. In 1963, F.W. Woolworth Company purchased the Kinney Shoe Corporation, which ultimately branched into specialty shoe stores, including Foot Locker in 1974. The increased competition led to its decline beginning in the 1980s. On March 17, 1997, Wal-Mart replaced Woolworth's as a component of the Dow Jones Industrial Average. 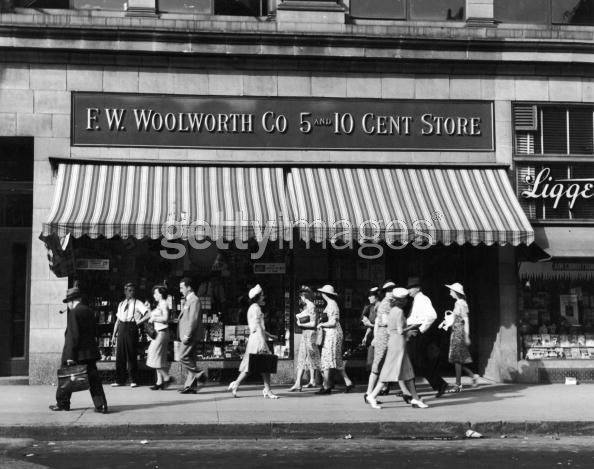 On Jul 17, 1997 The Woolworth Corporation said that it would shutter all 400 of its remaining five-and-dime stores. 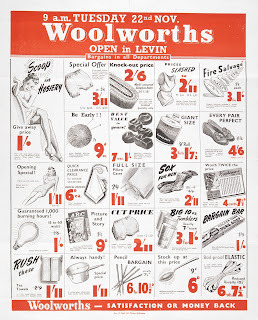 It was the end of Woolworth Empire. Retail chains using the Woolworth name survive in Austria, Germany, Mexico and, until the start of 2009, the United Kingdom.